Discrete Drums and Sony Creative Software have joined forces to bring you the new state-of-the-art in beat construction tools. Our Discrete Drums: Volume I collection is a world-class purveyor of sparkling rock/pop acoustic kit drum and percussion grooves, customizable to meet the most demanding professional music production needs. Sony Creative Software refines the Discrete Drums aesthetic by applying our trademark ACID software metadata, library organization and presentation - qualities that make Sony Sound Series libraries the most compelling in the industry. At the macro level, each Discrete Drums volume contains three fully-mixed foundation beats, with all the fills and variations you need for creating complete, seamless drum tracks instantly, from crisp intro to smashing finish. At the micro level, you get everything, from the multitrack session files to isolated one shots. 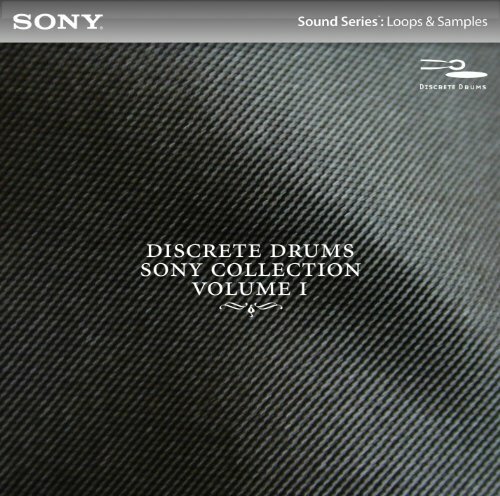 Experience the new cutting edge in drum loop library design - the Discrete Drums/Sony Creative Software alliance.